Wow! A vacation your kids will never forget. 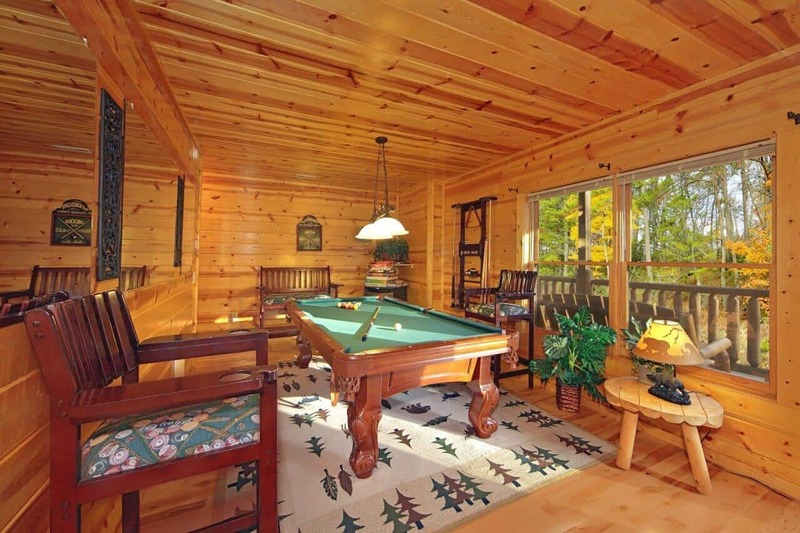 Enjoy your own private heated pool, hot tub and pool table at A Secret Splash cabin. The fun will never end with so much to do (year round!). 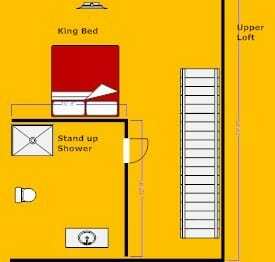 Plenty of room in this 3 level cabin with main level king suite with full bath as well as a loft king suite with full bath. Perfect for 2 couples or for a family with kids. 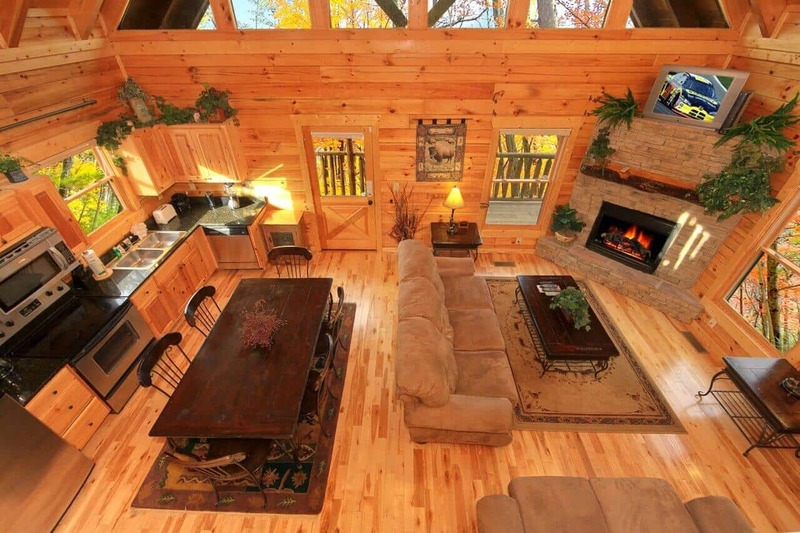 Enjoy an open great room with plenty of seating, a fireplace and fully equipped kitchen. 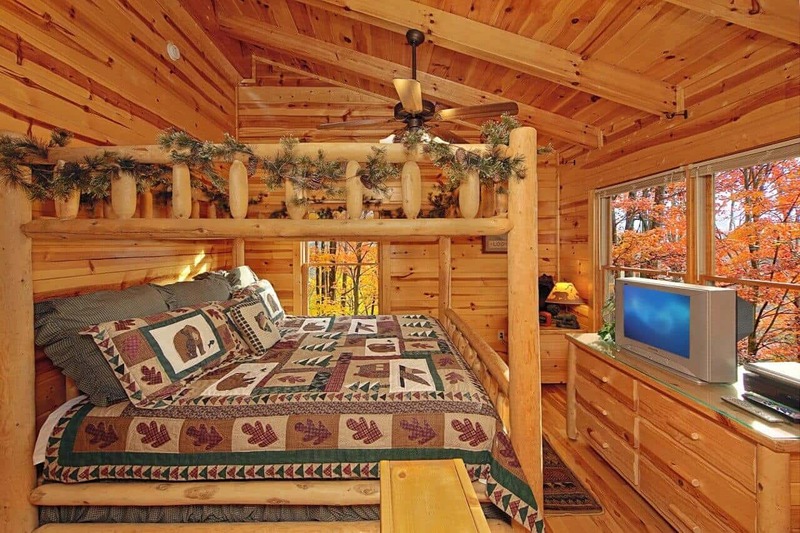 This cabin is all about fun all year around. 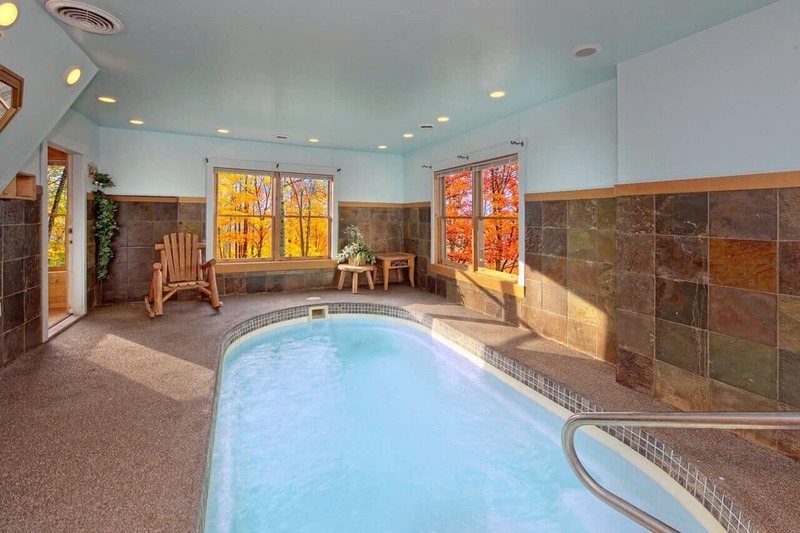 You will head downstairs to the heated indoor pool where you and the kids will enjoy a day at the pool, rain or shine - or even snow. With a very small chance of getting bored you can shoot a game of pool in the game room, watch TV or even use the FREE high speed WIFI. You can even head outside and watch the stars from your private 100 degree hot tub on the deck. The cabin is equipped with a fully equipped kitchen including coffee maker, toaster, blender, mixer, microwave and most the utensils and cookware you will need to prepare in cabin meals. Your dining room seats 6 guests. 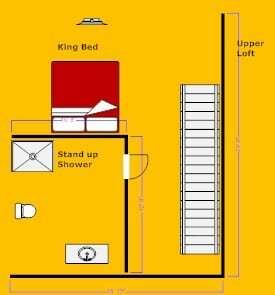 For extended stays there is a washer/dryer in the unit for your convenience. 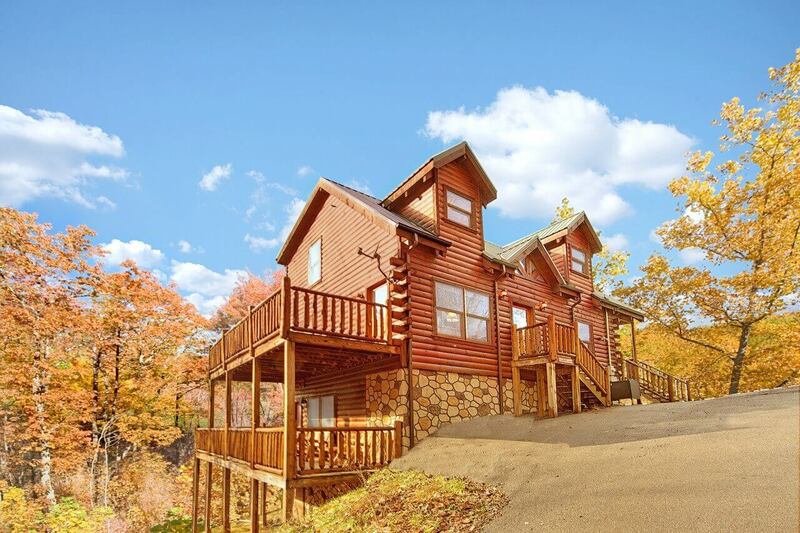 You are only 10 minutes to downtown Gatlinburg, 10 minutes to Pigeon Forge and Dollywood, 10 minutes to the conveniences of a grocery store and pharmacy all while being secluded in your private pool cabin. Yes, it's perfect! We are first time renters with Elk Springs and would rent with them again! Booking was easy. They have a friendly and knowledgeable staff. Our cabin, A Sercret Splash was beyond words! Already planni…ng for another visit. 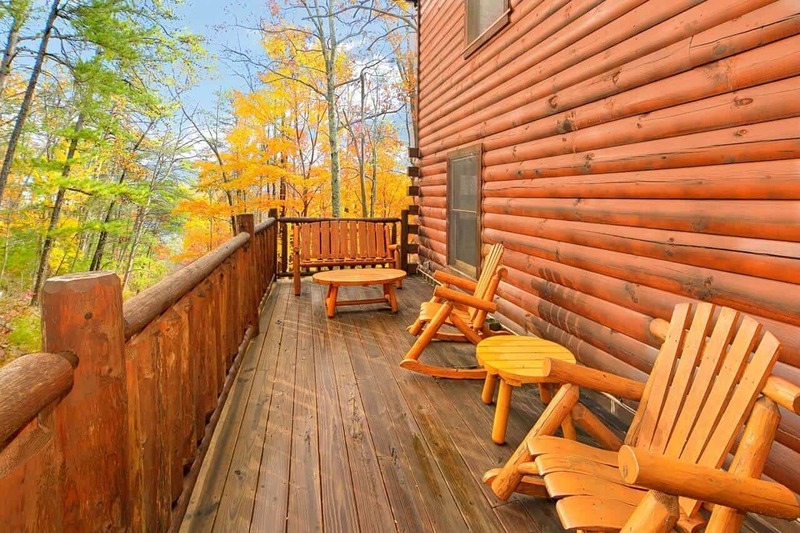 We would certainly recommend Elk Springs to anyone looking for a cabin rental company. Thank you for your fantastic review, Shannon. It is delightful to hear that you enjoyed your recent cabin stay. 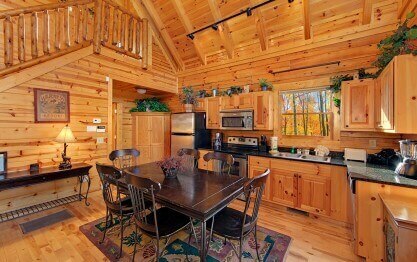 You certainly chose a great cabin to get away from the hustle and bustle of everyday life. We appreciate all recommendations and look forward to your next visit as well. Please keep in mind, as repeat visitors you will enjoy 10% off all future bookings. Hurry back, new memories are waiting to be made! Thank you for staying with us at Elk Springs. We hope you will make plans to visit us again very soon! As always, we enjoy hearing about happy family experiences with our cabin rental company. 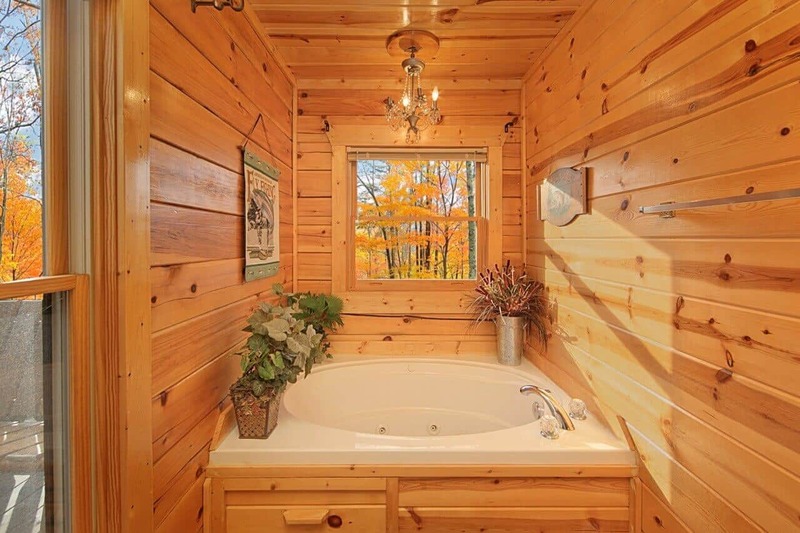 A Secret Splash is a great cabin to relax and create lasting memories together. 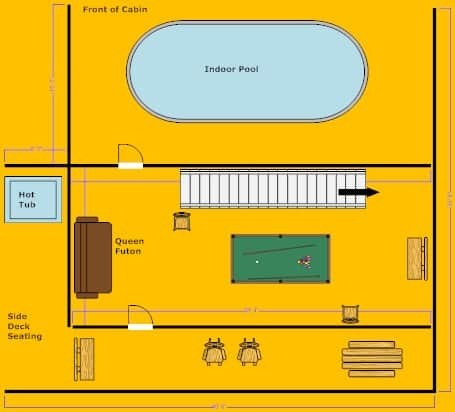 The indoor swimming pool is just one of the great amenities offered at this cabin. We appreciate your business and hope you will make plans to visit again very soon. Please keep in mind, as repeat customers you will enjoy 10% off all future bookings. Hurry back, new memories are waiting to be made! We absolutely loved this cabin. In a great location, clean and nice, pool was wonderful, well-stocked. We couldn't get the gas fireplace to start and someone came out promptly to assist us. 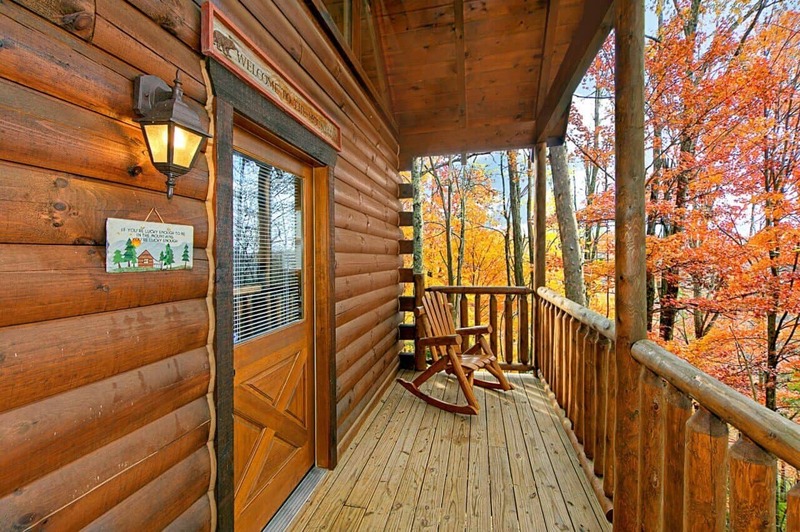 We will… definitely return to this cabin on our next trip to Gatlinburg! We are happy to hear your issues were resolved and you enjoyed your stay, Celeste. We truly care about the quality of your stay and want you to feel at home during each visit. We look forward to your next visit and don't forget to mention that you are a repeat visitor. You will enjoy 10% off all future bookings! Hurry back, new adventure awaits. The cabin was beautiful and the scenery was amazingly. Our family enjoyed the resort. It's close to Gatlinburg and Pigeon Forge.we will definitely be back. Thank you for an awesome experience. You are welcome and thank you for your wonderful review, Kristine! 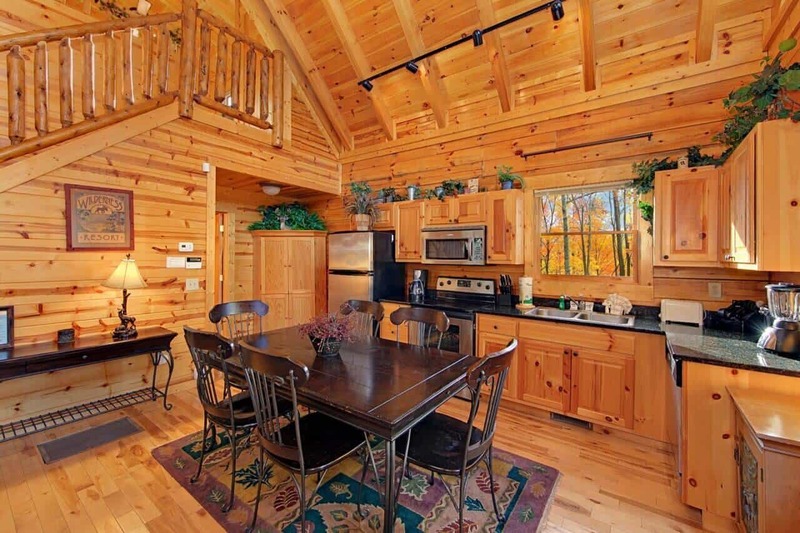 We are happy to hear you chose the perfect cabin for you and your entire family to enjoy. Keep in mind, as a returning guest you will now enjoy 10% off all future bookings. Hurry back, new memories are waiting to be made! "A secret splash cabin rental"
Everything was awesome when we arrived. Everything eas clean,the cabin was beautiful. Looking forward to returning. Thank you Sandra! We are very pleased to hear that your cabin getaway experience met your expectations. 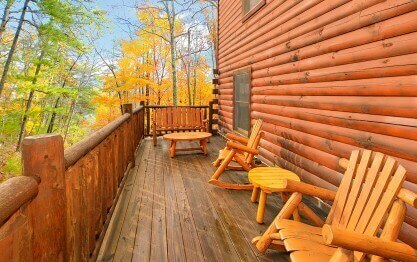 It is our pleasure to provide you with a 5 star stay in the Great Smoky Mountains! We look forward to doing business with you again. Be sure to mention you are a repeat guest and you will receive a 10% discount off your next booking! So close to tons of fun activities for the whole family, shops, and restaurants! 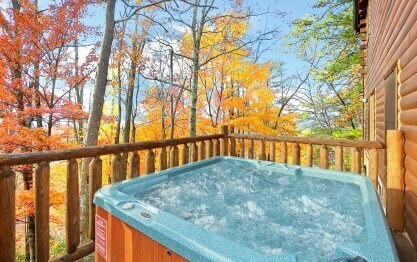 Super clean and comfortable cabin with relaxing hot tub and pool! The little road up to the cabin was a bit steep and s…tressful for me but definitely enjoyed every bit of our stay! There was a small water leak from the upstairs shower but maintainance was fast to take care of that issue! We are delighted to hear your stay was enjoyable, LeighAnna! Please be sure to take advantage of your 10% repeat guest discount the next time you book. The roads can be steep and windy in this area. We are glad this did not hinder your stay. We appreciate you taking the time to report the leak and are happy to hear our maintenance man was fast and accurate. Hurry back, your next adventure awaits! 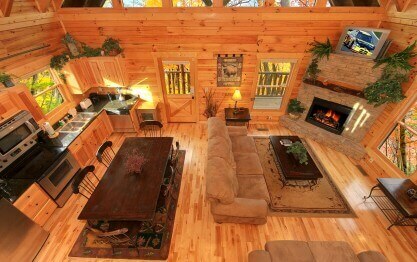 Our cabin, Secret Splash, was amazing!Everything was perfect and the cabin was exactly like the pictures showed. Not one problem with it, would definitely stay there again. Another 5 star review from another satisfied guest with Elk Springs Resort! 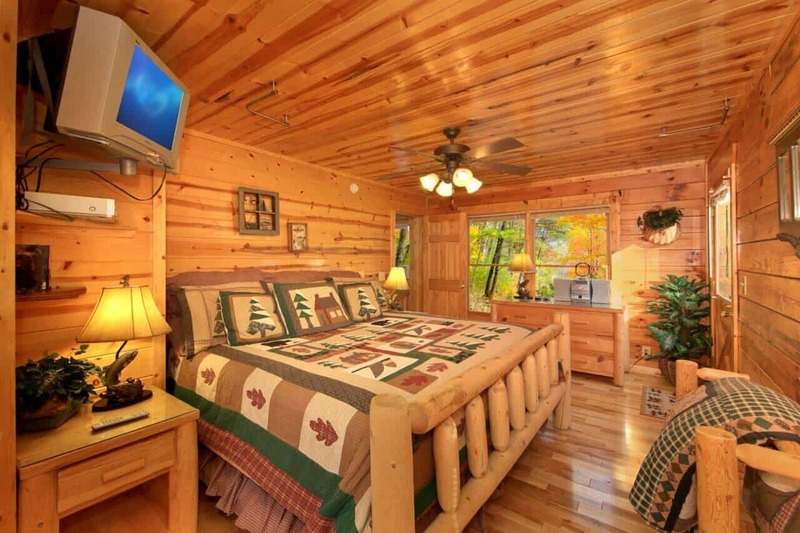 We are pleased to hear that you enjoyed this superb cabin complete with your very own indoor swimming pool. It's perfect for a couple or small family and is just a short drive from all of the tourist attractions in downtown Gatlinburg. 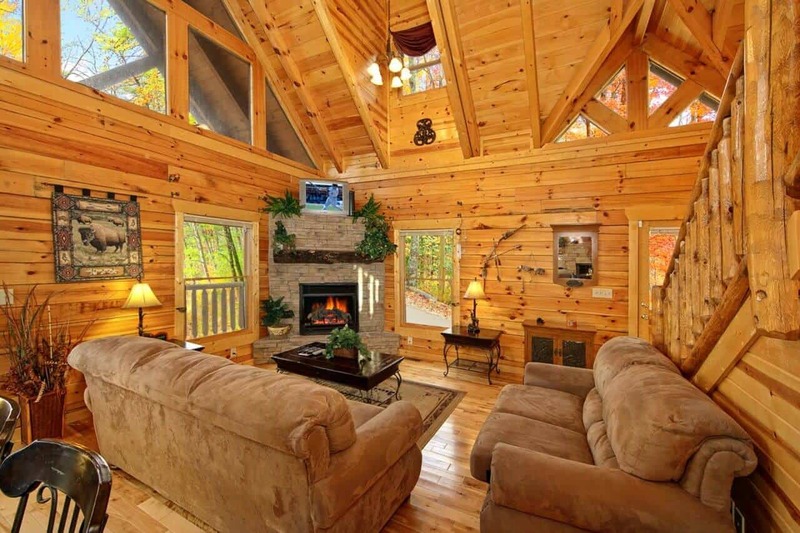 It's nice to have a relaxing place to head to after a long day of shopping or hiking in the Great Smoky Mountains. We hope you will hurry back for some more mountain memory making real soon! Everything was as advertised. Our children did not want to leave, and either did I. Thank you for trusting Elk Springs Resort with your family vacation. We are excited to hear your stay was exceptional, Greg! We hope you will make plans to visit again. Please keep in mind, as a returning guest you will enjoy 10% off all future stays. Enjoy the days in Gatlinburg and Pigeon Forge and then come home to the peace and quiet of the mountains. Thank you for the 5-star review, Mark! 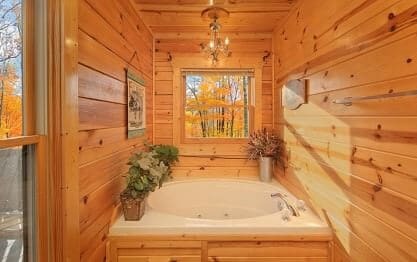 We are pleased that you enjoyed this wonderful cabin with the indoor swimming pool as well as the surrounding beauty of The Great Smoky Mountains. It is our pleasure to provide you with such a wonderful experience and we look forward to your return in the future. Our repeat guests receive a 10% discount just for mentioning that you have stayed with us in the past! Thank you for your wonderful review, Norah! We are excited to hear you enjoyed your stay. We hope you will make plans to come back and stay with us often! We had a great stay and will be back for more soon. Thank you for your wonderful review, Lillian! We are delighted to hear your stay was exceptional. We enjoyed having you as our guest and would consider it an honor for you to stay with us again. Please keep in mind, as a returning guest you will enjoy 10% off all future stays. Hurry back, new memories are waiting to be made! This was exactly what we needed. By far the best family vacation we have ever had. Can't wait to go back. We had the best time. There were actually some tears when it was time to go. It is never too early to start planning your next visit! What an amazing review, thank you for sharing this with us. We love to hear that our guests enjoyed their time spent with us. Please make sure to mention that you are a returning guest for 10% off future stays. Whether you come back to A Secret Splash, or choose one of our other cabins, you are sure to make special memories that will last a lifetime! The cabin "A Secret Splash" was a wonderful cabin for our family's Spring vacation! The kids loved the pool. 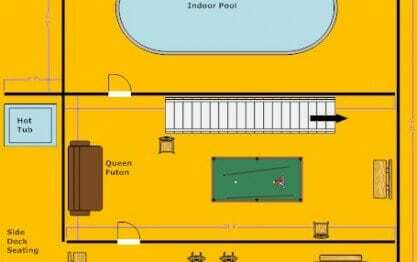 For people with small children, the pool has a combination lock pad on the door, so there …is no worry of kids getting in without your knowledge. The cabin was clean and the staff has been wonderful! We will stay with Elk Springs Resorts on our next trip! Secret splash is a great family cabin. 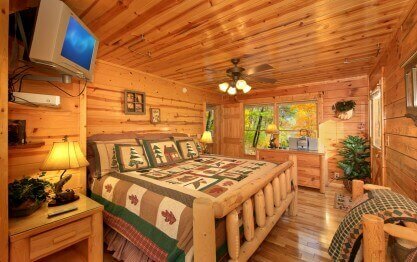 If your looking forwad to peice and quite whie your kids are entertained than this is the cabin for you! Thank you for the 5-star review, Jarrod. We are always pleased to have our guests share their cabin getaway experience with us! 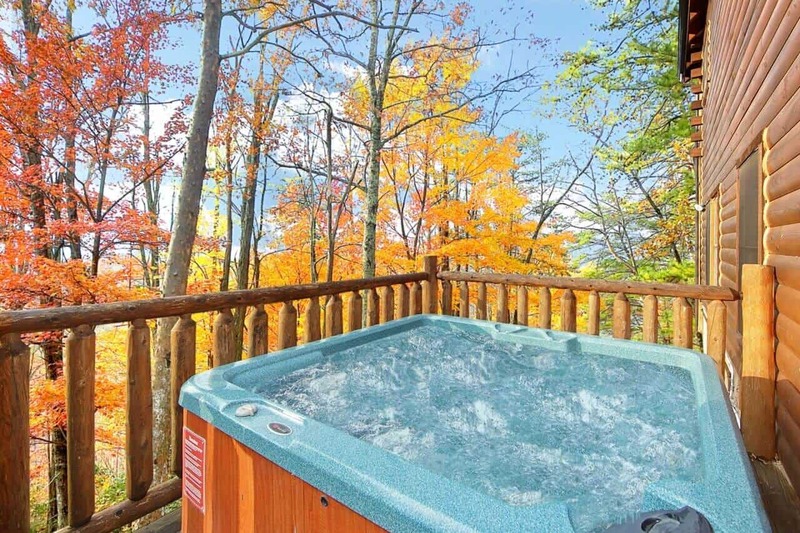 It sounds like you made the perfect selection for a nice relaxing time with your family here in the Great Smoky Mountains. We hope you will consider a future stay with us. Our return guests receive a 10% discount on all future bookings! My husband, son and I just needed to get away from life for a few days. We rented "A Secret Splash" and was wowed from the first moment. The cabin was amazing!!! Everything was clean and the amenit…ies were wonderful. 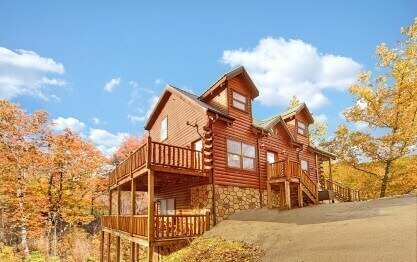 We highly recommend this cabin and Elk Springs Resort. From the reservation to the check out, the customer service and ease of access was amazing. Thank you!!! We had a blast. The cabin was clean and stocked with every thing we needed. The pool was a nice amenity but the hot tub was very nice. Was a a flawless rental. We appreciate your business and your wonderful 5 star review, David! We do hope you will stay with us again during your next trip to Gatlinburg. Take advantage of your 10% repeat guest discount at the time of your next visit. Hurry back, more memories are waiting to be made! All I can say is wow, this place was awesome. The hot tub went up to 104 degrees, and it had a light in it, so it wasn't to dark, the pool was warm, the kitchen was stocked with supplies, it was cozy,… the double deck was awesome, however one hill there is really steep, so we had to take the detour to around, only an extra min tops, right between Gatlinburg and pigeon forge, made for a great time, I'd recommend this to anyone, and I will definitely be back! Thank you for your wonderful review, Kyle! We are delighted that you enjoyed your stay at A Secret Splash. We truly care about the quality of your stay and want you to feel at home during each visit. Please keep in mind, as a repeat customer you will receive 10% off all future bookings. 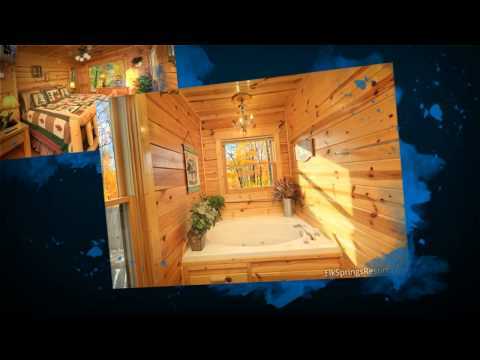 "Check out A Secret Splash cabin via Elk Springs Resort!" 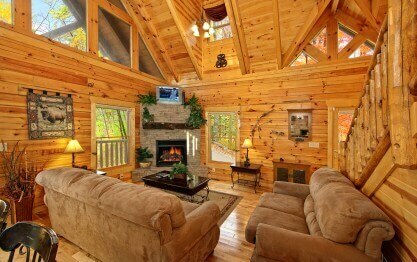 What a great cabin! My families first time using Elk Springs Resorts. We had a great vacation staying in the cabin. The cabin had all the amenities needed for a great stay. The kids really enjoyed the… indoor pool, what a great bonus. The adults enjoyed the hot tub on the deck. The cabin had plenty of space and great views! Parking was enough for about 2 cars. The drive up to the cabin was well worth it, the alternate route is the best bet. My wife and family will definitely be back and would recommended Elk Springs Resorts! Thank you for allowing us to be a part of your family vacation, Tom! We are delighted to hear that you enjoyed your stay. We hope you will consider booking with us in the near future. Please take advantage of your 10% repeat guest discount at the time of your next booking. Hurry back, more memories are waiting to be made! Our stay at this cabin was fantastic. As previous reviews mentioned...the drive up to the cabin was no joke. The cabin itself was extremely clean and provided everything we needed. The rental company …was wonderful...they brought us a toaster and hot pads when we needed them. We hesitated renting this cabin as we thought the pool might just be more of a novelty than useful. Our kids, ages 3,5 and 1 proved us wrong. The pool was the perfect size and helped to make our vacation very relaxful! 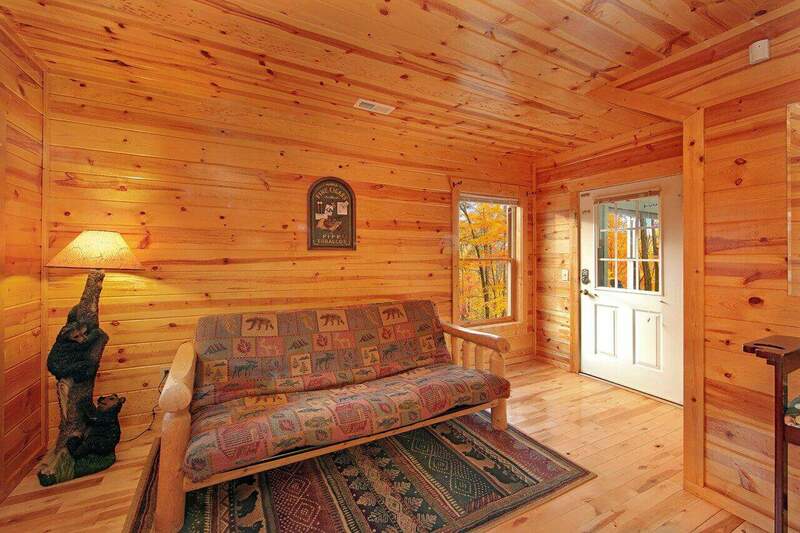 Do not hesitate to rent this cabin. It was wonderful! Thank you for the 5-star review and for being our guest. We are so pleased that you and your family enjoyed your stay. 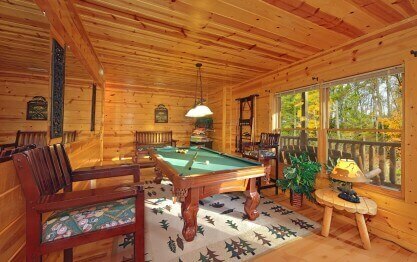 Having the pool right in the cabin provides many hours of entertainment for the young and old alike. Thank you for mentioning the drive up to the cabin. Many guests are intimidated by this, but the reward at the top is definitely worth the drive! We hope you will consider bringing the whole family back for a future stay. "Fun for the kids relaxing for the adults!" The cabin was very clean and nice on the inside everything like the pictures show when booking the cabin. The road leading to the cabin is bit scary but worth it. The kids loved the pool and us adults… loved the hot tub! The only negative things would be no lights around the hot tub which makes night time use difficult (the porch light is not enough) also we would have liked to have a gas grill on the porch not charcoal on the side of the driveway(which I didn't realize there was no grill when I booked) Over all it was a nice clean cabin with a nice location between gatlinburg and pigeon forge. Thank you for the review Brian. A drive to some of the mountain cabins in this area can be a little intimidating, but with our detailed driving directions to follow, we can guarantee you will get to the cabin safely. As for the charcoal grill, some of the locations of our cabins will not allow us to put a gas grill on the property due to HOA restrictions, etc. We are sorry for the inconvenience of this during your stay. It sounds like everyone had a good time and we hope you will return for another visit in the near future. 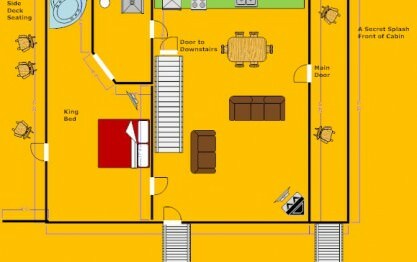 My son helped me pick out the cabin online. He could not wait to get there! It did not disappoint! Everything was clean and well kept. Beds were comfortable. We enjoyed our stay very much. We are pleased to hear that you enjoyed your cabin experience Wynona! Having a swimming pool right inside your cabin is so much fun! I'm sure your son is already begging you to come back. When you are ready to book your next stay, be sure to let us know you are a repeat guest and get an extra 10% off! "A secret splash a wonderful family getaway"
Just a wonderful family vacation. The cabin was spotless and had everything we needed. It was wonderfully situated between pigeon forge and gatlinburg. The drive up to the cabin took some getting us…e to but was well worth it. The cabin is pretty private as surrounding cabins are blocked by woods. It seems your completely secluded at times but in reality your only a short drive to either city. The indoor pool is small but was perfect for my 2 small kids. 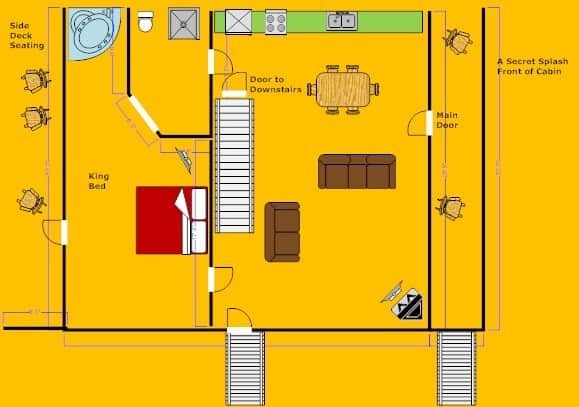 The layout of the cabin to us was really neat. Having multiple decks and the hot tub was a bonus. Thank you elk springs resort!! Thank you for your positive feedback and for choosing Elk Springs Resort for your family vacation destination. Having an indoor pool to yourselves is an added bonus, that I'm sure your children loved! We look forward to having you back as our guests again in the near future! The cabin was beautiful!! It was very clean and well maintained. The pool and hot tub were great! We received calls during our stay just to see if we needed anything. The directions we received we…re easy to follow and accurate. We would stay here again and recommend it to anyone. The desctiption of the property was also accurate. We are delighted to hear you enjoyed your visit, Leanne! It's a beautiful day here in The Great Smoky Mountains and the perfect time to start thinking about a return trip. Please keep in mind, as a returning guest you will enjoy 10% off all future stays. We hope to see you soon! Loved the house and location but the parking area was very small (only one vehicle could fit). Road was very narrow without many places to tun around but this is understandable due to where your at. "GREAT PLACE TO GO TO WITH THE FAMILY"
GREAT PLACE TO GO TO WITH THE FAMILY, I WOULD DEFINITELY GO AGAIN. We had a lovely time! It's location was great! & had a very comfortable warmness to the place, would definitely recommend ! The cabin was very nice inside. 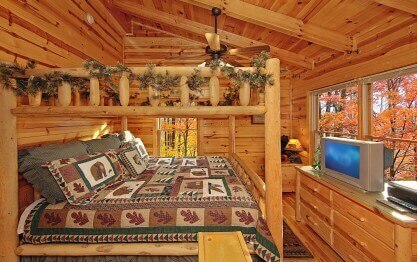 Smaller than it looks in the pictures but very cozy. The cabin was a bit difficult to get in and out of but doable. There were some issues but the Elks Spring staff was quick to fix the problems. "A true diamond in the rough..."
Beautiful clean cabin. Great amenities. Management company was very responsive and helpful. Appreciated their follow ups during our check in and stay. "Amazing Vacation and Excellent Service"
A Secret Splash was an amazing cabin to stay in for a week. We spent more evenings at the cabin than in the cities. It is well located to both cities and to the park. The cabin is not right next …to many cabins and was clean. We had a couple of maintenance issues (expected in a rental) that were taken care of quickly and with great customer service. We stayed 5 nights at a Secret Splash during May so the weather was not to hot and not to cold. The cabin was clean and they drained and refilled the hot tub before we got there. 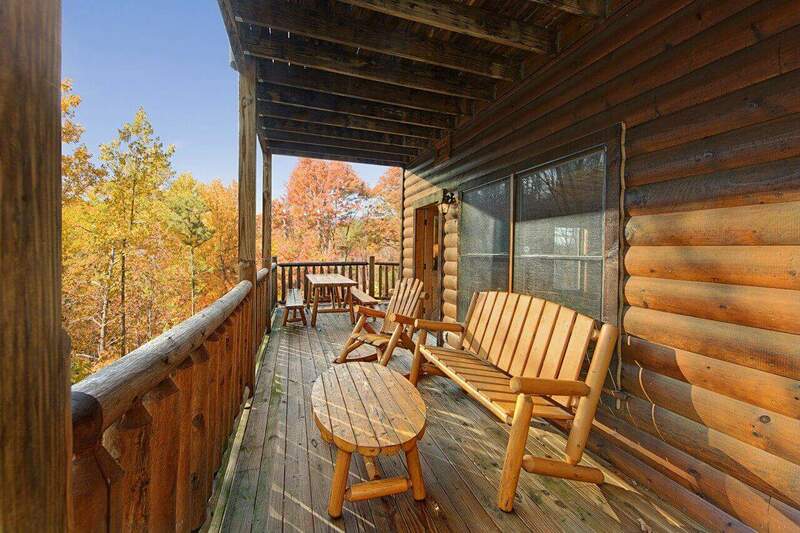 The location is ab…out half way between Gatlinburg and Pigeon Forge so it's very convenient. Driving to the cabin is not for the faint of heart due to steep, narrow and winding roads.